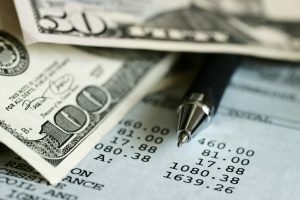 Accounting for the growing cannabis industry is unique. Here’s why. The goal of any accounting system is to ensure that accurate financial information is available timely to users. An appropriate system will include processes and procedures for collecting, recording and classifying data and will assist in preventing and detecting waste or, even worse, fraud. So why is accounting for the growing cannabis industry so unique? Management, investors and other financial statement users require the same accurate financial information as any other industry. However, in this growing industry, businesses must comply with strict state and federal regulations to avoid substantial penalties or even the risk of losing their business. Proper and adequate accounting systems and controls are even more critical in a cannabis business where the business “touches the plant.” Growers, processors and distributors have unique accounting and compliance needs unlike any other industry. The potential for large cash transactions and banking restrictions common in the industry further emphasize the need for proper accounting controls and procedures. As states begin to legalize marijuana for medical and recreational use, businesses will need to consider the unique challenges the industry faces at the onset. The federal government considers business operations in this space to be “trafficking in controlled substances.” As such, proper accounting and reporting should incorporate the nuances of Internal Revenue Code Sec. 280E and 471 relating to cost accounting and inventory. 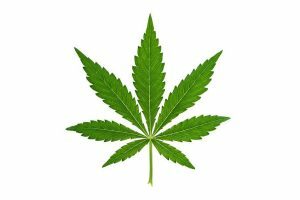 In addition, state regulations require industry tracking and reporting of “seed to sale.” Most states with legalized marijuana industry require businesses to have inventory control and reporting systems in place as well as an interface with state mandated tracking systems. Therefore, the accounting system must provide reports and analysis to support compliance with federal and local regulations. In this highly regulated environment, the business can be audited at any moment. All records must be available and in order to prove compliance with state and federal regulations. Furthermore, the accounting for businesses in this industry will need to provide for transactions to and from related entities, segment or separate “lines of business” reporting and consolidation. Business structures often include related entity relationships and investments. These advanced accounting issues are uncommon for most young or start-up businesses in other industries. While many businesses entering the Cannabusiness space are new businesses, they cannot approach their accounting and bookkeeping in a manner often seen with new business start-ups. It’s common for a start-up to lack a proper accounting system and accounting controls before the business is up and running. A Cannabusiness business must have their system and controls in place well before they start operations. Cannabusiness is a developing industry with many complicated factors. If you’re starting a business in this space, don’t go it alone! Contact Managing Partner Maria Rollins at [email protected] or 201.655.7411 to discuss your situation. Is your small business prepared for the new employment tax filing deadline? In an effort to combat fraud, the Protecting Americans from Tax Hikes (PATH) Act of 2015 was enacted. It revises the filing deadline for Form W-2 and certain types of Form 1099. Without proper planning, these revisions can cause some real stress for small businesses. In the past, there were always two dates to consider when filing your employer tax forms. Forms were due to recipients on January 31st and forms were due to the government agencies (IRS and Social Security Administration) on February 28th. Effective with 2016 tax forms, W-2’s and 1099’s with Box 7 entries are now due by January 31st for both recipient and government agency filings. Form 1099 box 7 reports non-employee compensation. In practice, we have found that many businesses do not have correct recipient information for employees and independent contractors, and unfortunately do not realize this until it is time to prepare the recipient copies of the forms. In the past, the issuer had until February 28th to track down or correct any incomplete recipient information. 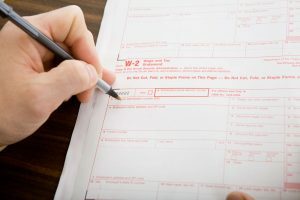 If you fail to file a correct W-2 or 1099 information return by the due date, and you cannot show reasonable cause, you may be subject to a penalty. There are also penalties if you report an incorrect TIN (taxpayer identification number) or fail to report a TIN. Accordingly, collecting correct information timely is very important. Due to the shortened filing deadline between the end of the year and the filing due date, it is essential that you have all the complete and accurate filing information by early January. At KRS we assist our business clients with employer tax reporting as well as tax planning and compliance. Feel free to contact partner Maria Rollins at 201.655.7411 if you have any questions relating to the filing deadlines or any tax compliance issues. What Drives SMBs’ Accounting Software Purchases? Software Advice™, a trusted resource for software buyers across industries, recently published a trend report on accounting software purchases by small and midsize businesses (SMBs). SMB Accounting Trends Buyer Report – 2016 was based on hundreds of consultations the firm conducted with SMBs over the past year. The report provides excellent insights into what business owners should look for when considering buying an accounting software system to replace outdated software or manual entries (e.g., pen and paper or Excel spreadsheets). Software Advice analyzed a random sample of consultations and found that nearly 60% of SMBs are looking to replace their existing accounting software with a more advanced system, while roughly 30% are first-time buyers. At KRS CPAs, we’ve noted that handling multiple entities is often a tipping point for businesses progressing from basis to advanced accounting solutions. When businesses try to perform the function with a solution that isn’t designed to support multiple entities, the process is time consuming and error-prone. For example, inter-company transactions processed by larger software applications are handled in one entry. If the application doesn’t offer multi-entity access, then the entry must be recorded in each entity separately, which is time consuming and can result in mistakes. 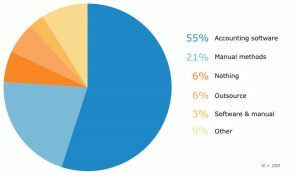 Software Advice also reported that the 21% of buyers wanting to automate processes correlates with the same percentage currently managing their accounting with manual methods, such as Excel spreadsheets. These buyers are looking to improve efficiency by reducing time spent on manual data entry. 82% of buyers wanted financial reporting in their new software solution in order to measure key financial and performance metrics. I typically advise clients to ensure their new system has basic reports, including the balance sheet, profit and loss statement (P&L), and cash flow report. The P&L acts as the starting point for tax planning, while the balance sheet reports cash levels, debt and retained capital in addition to assets and liabilities. Accurately tracking and reviewing this financial data on a regular basis gives business owners insight into financial history, department efficiency and the profitability of different ventures. This allows them to make more informed decisions regarding cash flows, budgets and projections. I’ve also seen that cloud-based systems provide more integration and add-on options, which allows users to extend the reach of their existing systems to serve many industry-specific needs. Ready to Get New Accounting Software? If you’re ready to start evaluating accounting software, Software Advice offers an online accounting software questionnaire that can help you match your business needs with several products for you to assess. Once you have your new software installed, KRS CPAs can help you set up your bookkeeping, accounting and financial reporting processes so that they deliver the insights you need to manage your business more effectively. Choosing a credit card processor can be confusing. Here’s what you need to know to get it right. Since businesses usually cannot withdraw funds directly from a customer’s bank or credit card account they rely on payment processors as the middleman. 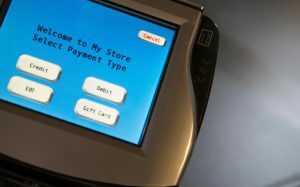 These payment processors connect you to merchant accounts such as Visa or American Express. There are many ways to obtain payment processors. For example, they can be found through banks, online providers and companies such as PayPal. They all have different rates. Some may require contracts or mandatory leasing of their equipment (credit card machine), so it is very important that you choose one that will work best for your company’s needs. Finding the right credit card processor is important and there are many points you should consider. For example, mobile businesses must consider the ability to accept credit card payments from anywhere. For these businesses, a mobile credit card processor would be best. Also consider integration with your accounting system and CRM software to ensure efficient processing and recording. Don’t be sold/fooled – Make sure you are not being set up with equipment you do not need. Quite often representatives will indicate that you need new equipment that is proprietary in nature and only works with their processing system. If you do need such equipment, are you paying for it? Often merchants will offer a “FREE” terminal when in fact you are actually paying for it through unexpected monthly or annual fees, or costly termination fees. Bigger does not always mean better – Just because a bank is larger does not mean that it will provide better service. Inquire if your bank uses a third-party provider and be sure to get comfortable with them. As a third party, they may not know anything about your business. Availability – Make sure the processor you choose can be reached in a timely manner. Inquire about their customer service and response times. Common complaints are in the area of support as many do not have local representation and you will not have a dedicated service representative. Trust –Referrals from people you trust or respect are more likely to place you in front of a good payment processor. Rates – Understand your current pricing structure and what type of pricing structure the processor suggests for you. Here are some examples: flat rate, tiered, interchange plus, and surcharge. Education – The processor should listen to the needs of your business and, afterwards, present a few solutions. Make sure their processing solutions are PCI (payment card industry data security standard) compliant and utilize current technology. Beware the contract – Avoid a long-term contract. If there is a contract, find out the term and if there is the penalty for leaving before the end. You are looking for a client relationship, not a hostage situation. Reputation – Do your homework. Make sure the company is reputable. Look for ratings and referrals. 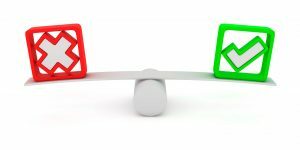 Sales rep vs sales partner – A sales rep may have a quota to fulfill and will be very accommodating during the sales process only to never be seen or heard from again. Make sure the person you deal with has a vested interest in your satisfaction. Bait and switch – Have a frank discussion about fees. Inquire as to any extra fees there are and how often they are charged. Request this information in writing. You do not want to be sold on a monthly savings only to be charged another “non-disclosed” fee. Accepting credit/debit cards can increase sales, help you better compete with your competitors, have quicker access to funds, and avoid the cost and time of collections. Choosing a payment processor is perhaps the most difficult task in any businesses decision to accept credit cards. Mammaro’s advice is to take your time, comparison shop and search for the one that best suits your needs and business operations. 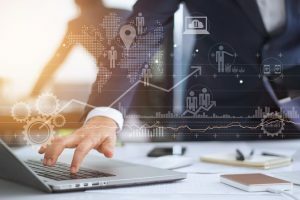 Credit card processing companies are competitively priced, yet each may have a unique set of fees and contracts; it’s important to understand those nuances so you find the processor that’s a good match for your business needs. At KRS CPAs, we work with businesses to provide the bridge from operations to financial reporting. Our accountants and bookkeepers understand the sales and collection process and assist our clients in evaluating merchant services and integrating these services with their accounting systems. If you need help, contact me at 201.655.7411 or [email protected]. As your business grows so do the complexities of complying with the regulations and requirements that may apply to you and your business. Your accountant is available to assist with accounting and compliance issues. In a business environment where these rules and regulations are constantly changing you want to be sure you are covered. Make sure you keep the lines of communication open throughout the year and take advantage of all the knowledge and expertise your accountant has to offer. The added value from keeping in touch with your accountant could extend well beyond tax services. 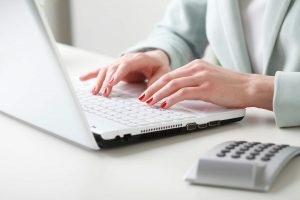 If you are familiar with basic accounting and maintain your own set of books, but can’t seem to make sense of the reports your accounting software is producing it may be time to sit down with your accountant. This is a great way to analyze how your business is actually doing. Your accountant is well versed in what your cash flow and finances are comprised of and could be an extremely useful resource when it comes to planning your future, setting goals, and assuring growth. Success and growth may mean that more time and focus is needed with daily operations. The accounting and tax rules and regulations that become applicable are also more complicated than what you may have seen in the past. Allowing your accountant to take charge of the bookkeeping tasks allows you to focus on managing your business and creates a relationship where there is constant communication. Together, you can develop a strategic plan for the future while discussing aspects of your business that may need change or attention. The conversations and accuracy of the financial reports will provide you with an accurate understanding of your businesses profitability and allow for accurate projections to be made which results in an easier tax filing season. You should be asking your CPA questions about the financial aspects of your business that you may not be familiar with and would like to learn more about. These conversations can lead to you feeling more comfortable and confident while making informed decisions to assure a successful business. Your accountant can offer the proper guidance needed to make you consider all possible outcomes, consequences, or opportunities that may arise when making business decisions. Keeping them informed about any significant changes is imperative to avoid negative repercussions when it comes to accounting or compliance issues. Be sure to stay proactive in keeping your accountant apprised of decisions regarding your personal finances, business engagements, and any other significant changes in your life. With expertise in many different areas, your accountant can offer you insight and support even after you’ve filed your tax return. If you haven’t yet found the CPA that’s right for you, check out the post, “How to Choose the Right Accountants.” The post, “Does Your Small Business Need Help with Bookkeeping Tasks” can help you decide if outsourcing these important tasks is right for your small or mid-size business. Who’s Really in Control of Your Internal Controls? As a small business grows beyond its owner or owners, a system of internal controls becomes necessary. We would all like to believe that our business assets are safe from unscrupulous employees and that the financial information we use to make critical business decisions is free from errors and omissions. However, without a system of internal controls, there is little possibility that even the most innocent error or omission will be detected. Internal controls are the checks and balances that are in place to at least provide a fighting chance that errors, omissions, duplications and misappropriations will be detected and avoided. They can apply to many different aspects of the business. For example a business can have internal controls over financial processes, IT applications and systems, as well as over human resources. My focus is on accounting and financial internal controls that a small business can put into place immediately without breaking the bank. Separate the check writing and check signing responsibilities among two or more individuals. If using online bill pay, keep account passwords secure and only with those authorized to make the online payment. Have a person who is independent from the check writing or accounts receivable responsibilities open the mail. When opening mail, immediately endorse and stamp checks “for deposit only” and list checks on a log before turning them over to the person responsible for depositing receipts. Periodically reconcile the incoming check log against deposits. Small offices can have the business owner open all mail and populate the check log. Require paychecks to be distributed by a person other than the one authorizing or recording payroll transactions or preparing payroll checks. Have employees sign for their paycheck and periodically inspect signatures against employee files. Many fictitious employee schemes have been found through “surprise” in person paycheck distributions. Reconcile bank accounts monthly. Ideally these reconciliations should be done by an independent person who doesn’t have bookkeeping responsibilities or check signing responsibilities. If you don’t have the personnel to segregate these duties, make sure the reconciliation is adequately reviewed by another person or by the organization’s independent CPA. As part of the reconciliation process, periodically examine cancelled checks to ensure that checks are in sequence, payees are recognized, endorsements are appropriate and signatures are valid. Set account limits on company credit card use and require employees to submit original receipts for all purchases. Examine credit card statements and receipts each month to ensure charges are business related and authorized. Compare financial results against budgets, forecasts and prior year results. This comparison should be done monthly and any inconsistencies or variances should be investigated. Avoid time lags between approval and processing since falsifications can occur after the approval of the transaction. After approval the document should not be returned to the preparer. Limit access to assets such as inventory, petty cash and equipment. Periodically count the assets and compare the results to the underlying accounting records. Develop formal policies and procedures for purchasing. Separate the purchasing function from the requisitioning, shipping, and receiving functions. Include the verification of goods and services received to the contract or purchase order and invoice. Internal controls are not only needed to help protect a business against fraud or misappropriation by bad employees. They are used to detect innocent errors, duplications or omissions. 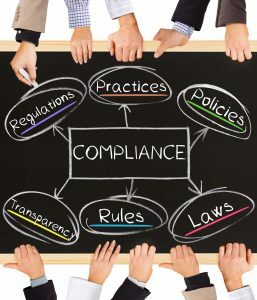 Once a business determines formal internal controls are needed it shouldn’t delay in establishing these procedures and protocols; as we all know, the longer the delay in implementing a process the more difficult the buy-in for change. In the end management is ultimately responsible for the organization’s internal controls. Be aware that any system will be hard pressed to prevent or detect fraudulent activity through employee collusion. A good system of control will help to prevent what could be costly errors and omissions as well as discourage deliberate misappropriation of organizational assets. How do we manage seasonal peaks and valleys? How can we keep our cash working for the business throughout the year? What’s the best way to use excess cash to benefit the business? Good cash flow projections will help any business stay on course towards a brighter future. If you have you ever heard the expression, “Failing to plan is planning fail” then you know how important cash flow projections are to the financial health of your business. 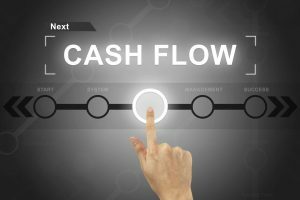 What is a cash flow projection? A projected cash flow statement lays out a prediction of your company’s available funds over a period of time. It represents cash receipts minus cash payments (income and expenses) over a particular time period (e.g., month, quarter, year). It is a fundamental and vital business tool. Cash flow projections affect and inform all areas of your business, from human resources to various operational concerns. A good cash flow projection should be realistic and based on your annual operating budget, prevailing market conditions, industry trends, and prior sales cycle data. This will all affect decisions about your inventory (retailers, manufacturers, distributors), staffing levels and payroll, business loans, and your accounts payable process. If your business is in startup mode, a cash flow statement involves compiling a comprehensive list of budgeted expenses and a conservative estimate of revenues as well as the timing of payments and receipts. Professional and licensing fees, incorporation costs, security deposits and other expenditures associated with starting a business must be included. Looking at these metrics will help you identify your company’s anticipated cash flow from income and expenses by month (which in turn informs your budgeting process). By updating these cash flow projections on a regular basis, using the actual financial records (receipts, checking account figures, etc.) you will be better prepared to keep that cash flow in the positive column. Managing your cash flow by having smart projections will also affect your company’s credit, as a lender will want to see those projections as part of the business loan process. Accounts receivable – You can’t pay your company’s bills if you aren’t being paid by your customers. Cash flow projections will guide decisions about the payment terms to institute from your customers. For instance, does it make good fiscal sense to accept credit cards? What about offering discounts for early payment? Sales forecasts – How accurate are the sales forecasts and how can we meet them? Budgets – Budgets are vital road maps to keep companies on track against their actual income and expenses. A cash flow projection by month or by quarter will inform the budgeting process and then help business owners and managers course-correct as needed. Inventory management – What’s on hand and how do you pay for it? How quickly does your inventory convert to cash? Do your vendors insist on large minimum orders or can you go on a smaller on-demand ordering system? Business line of credit – You might need a line of credit from your bank to sail through seasonal cash flow crunches; a solid projection will help you get the credit you need to remain viable throughout the year. Another factor here is how debt service impacts your monthly cash flow. Business loans – If you plan on making capital improvements or will be expanding and need business capital, showing the lender a smart cash projection chart will show you are keeping strong financial records and have long-range plans in place that align with your financials. Excess cash – If your company is profitable and you find your cash flow is positive, take a look at projections to determine how to use that extra cash. Should you reinvest in the company (and avoid that business loan)? Pay down business debt? Expand into new markets? Award employee bonuses? In short, projecting your sales and the accompanying cash those sales bring to your company will help you develop smarter budgets and guide more informed business decisions. Cash management will help you prepare for surpluses and deficits. It all starts with accurate, timely accounting records. Most accounting software will provide cash flow and budget reporting. Or, ask us about our bookkeeping services for small businesses to get your financial records set up properly and maintained regularly. Want to know more? Download our free Managing Your Small Business’ Cash Flow Guide to find out how to make the most of the money flowing into and out of your business. It’s filled with helpful tips and industry secrets to keep your revenue working as hard as you do.